It is so important to read to your children from the earliest age. Children who have a lot of reading time learn to talk, read and are soothed. I read to my infants to help them go to sleep, just hearing your voice and the calming rhythm of a story is soothing. So when I saw Anika's DIY Rain Gutter Bookshelves I had to share her project with you. Perfect for any age she has set them low for little ones to reach. Check out the project at DIY Rain Gutter Bookshelves. After a long day with the kids, you will want to make a batch of Marci's Lemon Balm Tea. She has a simple natural and quick way to make a perfectly refreshing summer tea with your lemon balm plant. I have loved lemon balm for years and grow it everywhere in my garden but never took the time to dry it to make tea, I am so glad I found this easy recipe to use this summer. Check out her recipe at Stone Cottage Adventures. Waldorf Salad is a classic summer salad. It is a favorite from my childhood as my mother made it all summer long. Simple, light with lots of veggies you will have to try Waldorf Salad from Simply Stacie. Stick-on Vinyl is a crafters dream, there are so many ways to use it (but just not enough time to craft). 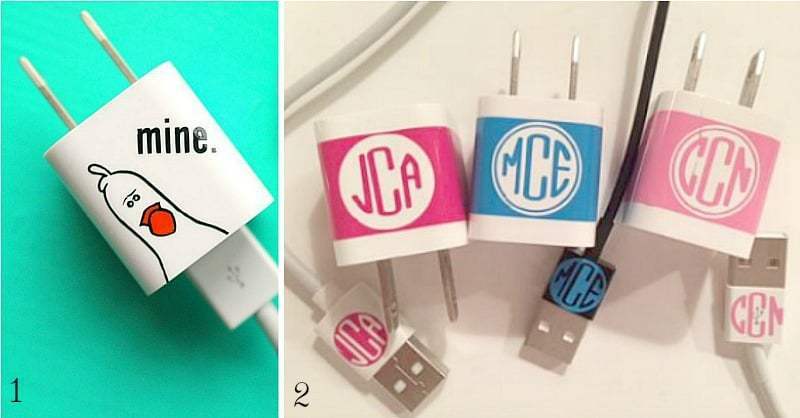 Carol at Bluesky at Home has a collection of 75 awesome ideas for using vinyl decals. Now that we are in "Back to School" crafting you have to check out all the great project at 75 Awesome Ways to Use Vinyl Decals. Thanks so much for hosting and for ALWAYS taking the time to visit as often as you do!! So delighted to see your new under the sea tree. You always have so great decorating ideas. Love it. Thanks again for hosting this fun blog hop! I hope that you are staying cool in the hot weather. Always so delighted to see what you share. You had me at scones!!! They are my weakness. I try to stay away from them, but they are so great. Thanks for hosting this fun blog party and good luck at whatever you do next. Appreciate you Beverly. 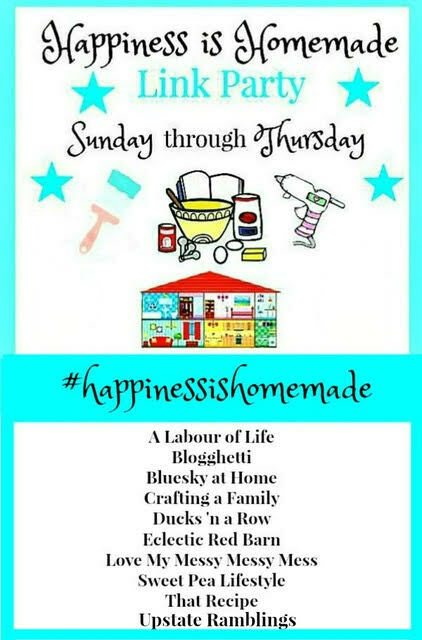 Thank you for sharing at Happiness Is Homemade. I always enjoy seeing what you share. Hope all is well with you. Always a pleasure having you share your wonderful recipes with us. As usual, they are amazing. You are welcome for the feature. I love lemons so I am going to have to make that lemon balm cake. Yummy!! Your bread looks awesome. I could bite into one of them right now. Thanks for sharing it with us. Can Cookout Foods Harm You Complexion?